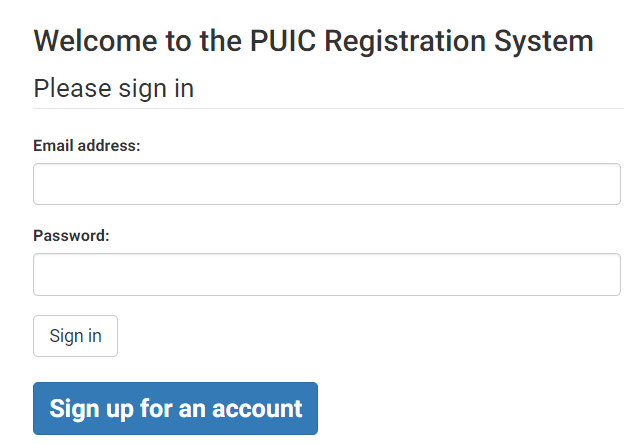 To access the PUIC Secretariat online registration system, go to the PUIC website and click on the required event, then click on the Registration button on the web page. 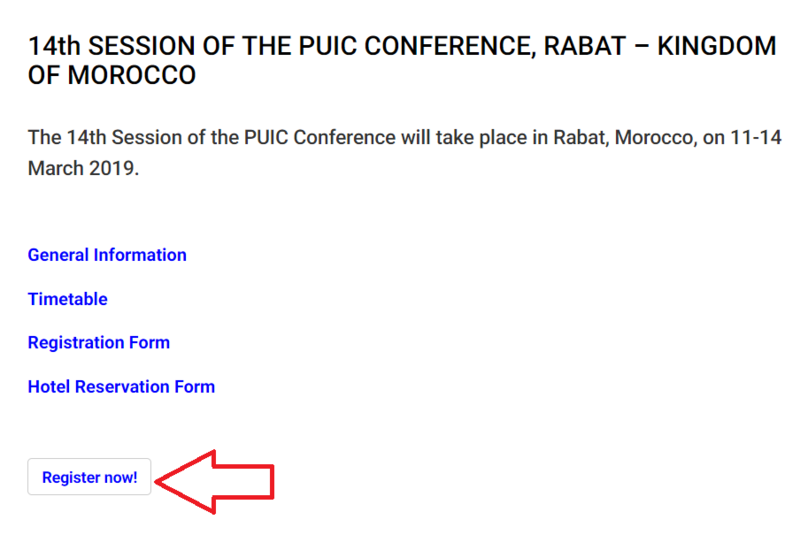 Important: It is recommended that all participants designate one delegation coordinator, who will be the sole user of the online registration system and will choose a password. 1. Sign up for an account and enter the requested details. 2. 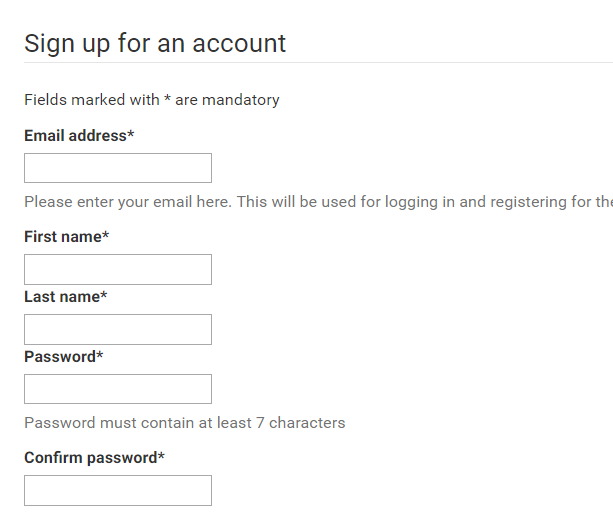 Once you have created an account, sign in with your user name and password. 3. Click on "Register now". 4. Register your delegation. If you plan to attend, do not forget to include yourself. 5. Please ensure that details of your national parliament are included. When you have submitted your registration, administrators will validate it. Once your registration has been validated, you will receive a confirmation e-mail. Otherwise, an administrator will contact you about follow-up action. Address: 34 Pesyan Street, Zaferanieh,Tehran, Iran.